Can u put the odd number problems on here. I am struggling with them all. Would it be possible to post the answers to the odd numbered problems of this chapter, especially 7 and 19? 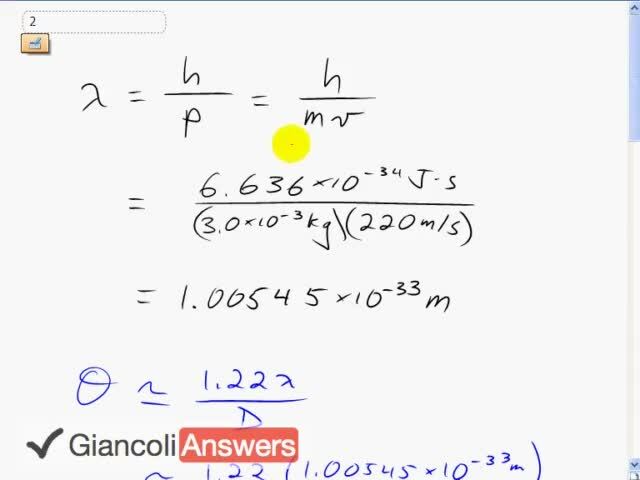 I read on your blog that you have completed all of Giancoli Answers, so I am not sure if the odd numbered problems are simply not loading on the Chapter 28 page, but it would be very helpful to have the odd-numbered problems for this challenging chapter! Thanks for your comment, and I'm sorry the odds are missing for this chapter. I guess I declared victory over the 6th Edition a little too early in that blog post since this chapter, and chapter 22, have only the even numbered solutions. At the moment I'm focused on getting the 7th Edition completed, so tying up this loose end will have to wait a bit. Hopefully you can find a problem among the evens which is similar to the odd problems and apply the same problem solving strategy. Again, sorry about the missing odds here.